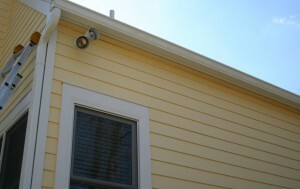 Throughout the Portland Oregon area there are a variety of gutter types installed on homes. One thing they all have in common is that all of them will eventually need replacing. Prior to replacing your gutters, you first want to be confident it really needs to be done. On occasion, homeowners are misled by leaks or overflowing gutters into believing that they need to be replaced. Yet all your gutter system may need is a gutter cleaning and or some minor repairs. On the other hand, if you gutters are rusted, heavily dented or there are associated issues such as rotten facia boards behind the gutters, it may indeed be time to have them replaced. One of the most vital elements regarding proper working gutters is their grade. Installing an appropriately graded gutter system is one of the things we pride ourselves on. 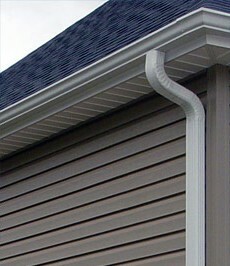 Occasionally, due to house settling, a gutter may not have a chance at being correctly graded. In those situations, we can help you come up with a acceptable solution. Call us today, your Portland Gutter Installation and Replacement Company and we will let you know whether or not you need new gutters or just some maintenance. All Surface Roofing is a Tigard based roofing company, offering Portland roof repair and installation as well as gutter installation services to the greater Portland metro area.